Sea ice forms when the ocean freezes in the winter. Under calm wind conditions the water freezes in sheets (Nilas). These sheets can move over and into each. 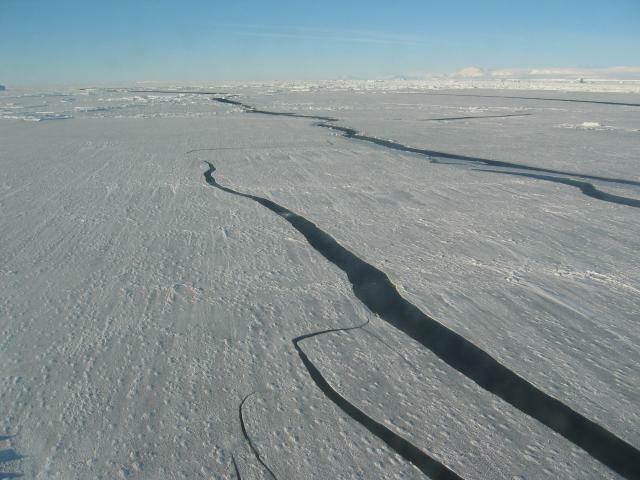 Sometimes like here in the Amundsen Sea, new snow covers the sea ice.